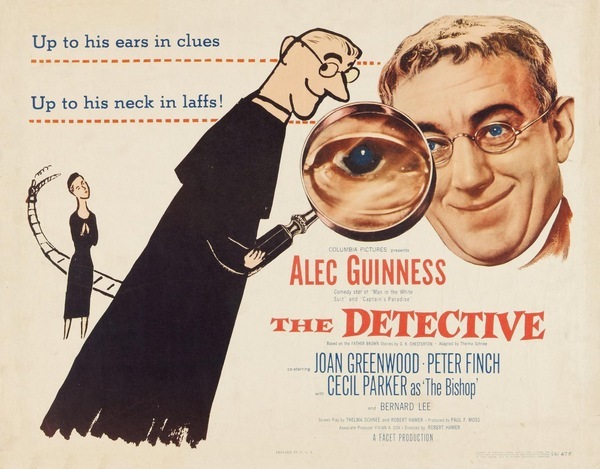 IIC: The Priesthood in Film: Hamer's "The Detective"
THE PRIESTHOOD IN FILM: HAMER'S "THE DETECTIVE"
Works of art are disappearing, stolen by a master thief, a master of disguise. Father Brown has two goals: to catch the thief and to save his soul. (Based on the popular stories by G.K. Chesterton). Starring: Alec Guinness, Joan Greenwood, and Peter Finch.